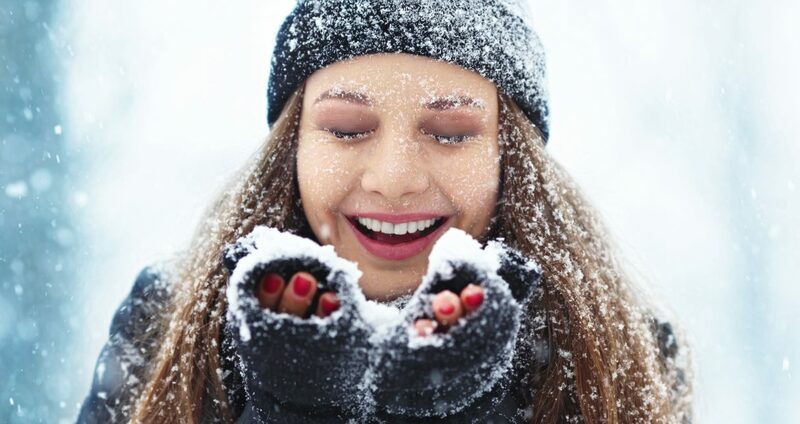 During the winter months, the howling winds and the dry cold can make your skin feel tight, dry and itchy. The outermost layer of skin, the stratum corneum, is composed of dead skin cells that are cemented together to form a protective covering over the living skin cells below, according to lydiasarfati.com. When the water content in the stratum corneum evaporates due to dry weather or sunburn, the top layer shrinks and gives the skin a crackly appearance. During the winter months, this is especially true. Here are five golden rules for skincare. This always gets an eye-roll and while it may seem obvious, we tend not to reach for a cool glass of water but rather a hot cup of cocoa in February. During the winter, we don’t really feel the need to drink water because of how cold it is, and many of us aren’t nearly as active. However, eight glasses of water are still needed each day. Not only is it good for your skin, but for your overall health as well. When purchasing products, avoid products containing alcohol, parabens, perfumes and mineral oil (they aren’t the kind the minerals you want). Use products with hyaluronic acid, dimethicone, glycolipids and peptides. Aloe Vera and rose water are the common go-to ingredients, and they are also cost-effective. They will hydrate and help moisturize your skin as well as clear acne, restore your skin’s PH and, most importantly, increase the production of collagen, which increases the skin’s elasticity and improves dry skin. Exfoliating is a crucial part of any routine. However, it’s particularly important during the winter months. When you exfoliate, you are getting rid of the dead skin cells that are still on the surface of your skin. When the dead skin cells build up, they cause dull and dry skin. This is something you should do every two to three days with a gentle exfoliant. You never want to scrub your skin with a washcloth, a sponge or any sort of rough surface as this will strip natural oils and cause even more skin damage. While it will look great for a day or two, it’s not solving the problems. Sunscreen is important year-round and used to protect your skin from harsh UV rays. Believe it or not, the sun is still out during the winter months. While heat is obvious, UV rays are silent and deadly in large amounts. You should always be wearing some form of sunscreen if you’re going to be outside for a few hours. Skin cancer is one of the most common types of cancer, and the best type of prevention is sunscreen. Just remember, these same rules should be applied to any product you used on the body. While it may seem like an expensive habit to have, you should treat your skin like you would treat any other organ. After all, skin is the body’s largest organ.